When you're having a kids birthday, baby shower or other special event, how do you send out invitations? While email and electronic communications are very convenient, a paper invitation can show that your party is a little more than you run of the mill gathering. Set your next event apart from the crowd with products from Paper and Polka Dots. 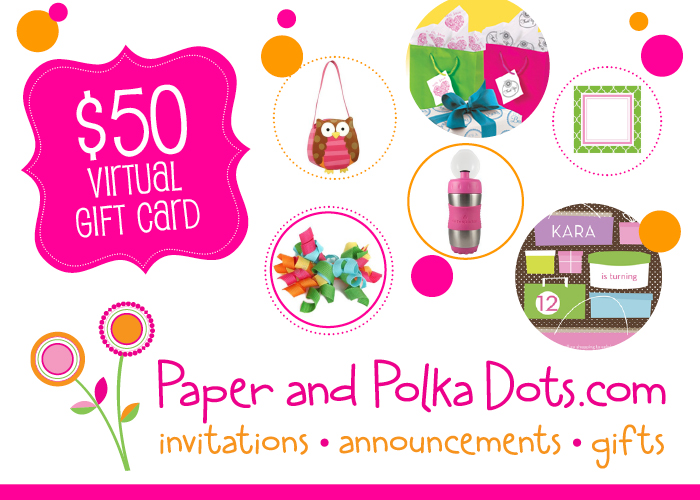 Paper and Polka Dots is an online boutique specializing in a fun, whimsical and unique selection of paper goods and stationery; custom stamps and embossers; and gifts for mom, baby and child! 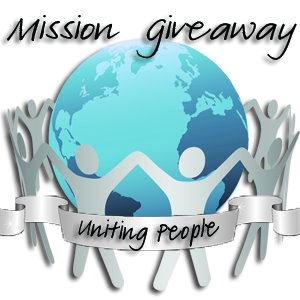 The Giveaway will open up on Monday 11/19 at 10 pm EST and Close on Friday 11/22 11:59pm EST. 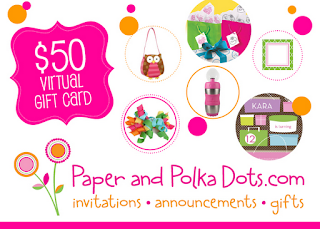 Visit Paper and Polka Dots and tell us what your favorite item is!